Lakshmi Tools & Equipments is rated amongst the credible Manufacturers, Suppliers and Exporters of Industrial Products. Our vast Industrial product line includes Sheet Metal Tools, Sheet Metal Dies, Industrial Molds, Automobile Molds, Rubber Molds, Casting Dies, Metal Precision Components, Measuring Gauges, etc. Our company has expertise in supplying product with timely delivery, precision in quantity, proper transport facilities for goods, etc. 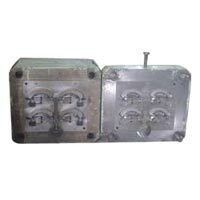 We are the leading, Sheet Metal Dies Manufacturer in India. Established on 5 May 2012, Lakshmi Tools & Equipments aims to deliver 100% genuine Industrial Products to the customers all over the world; this enables us to be rated as a Sheet Metal Dies Manufacturer. The company is growing continuously in the sector of manufacturing, supplying and exporting under the guidance of Mr. Sivasankaran.V. We are the best Manufacturer, located in Ghaziabad (Uttar Pradesh).